DAVID LE/Staff photo. 2/25/15. 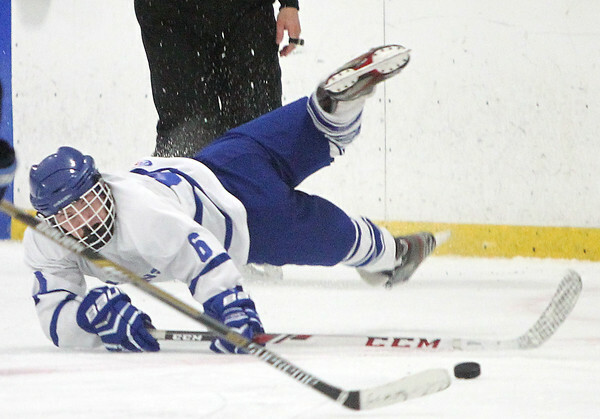 Danvers senior defenseman James Curley (6) makes a play on the puck after losing his skates against Peabody.